Small businesses shouldn’t have to sacrifice quality just because they don’t have a large budget. You need machines that can help take you to the top. Small and medium sized businesses are the ones who need the most tools to help move them forward. 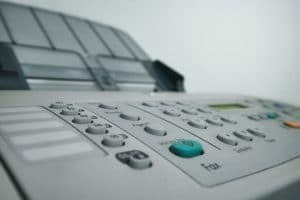 That’s why when it comes to small and medium sized businesses Xerox believes that they should have the same real world office solutions that are offered to big businesses. If you demand more for your small business then the Xerox WorkCentre 6655 is the multifunction printer for you. This full color multifunction printer is what your small business needs to help it succeed. The experts at Xerox included innovative tools and real world solutions to help make your business succeed. The WorkCentre 6655 is powerful, but it also comes with a number of ways to help you save money. You have more control and standard functions to help keep within your budget. No unnecessary printing with the Hold All Jobs Que. Each job must be released at the printer, helping to save wasted pages. It also comes with upgraded security to help keep your business safer. Xerox has put an emphasis on keeping your data safe so that you can worry about more important parts of your business. The WorkCentre 6655 is an amazing value for any business that needs more for less. Give us a call today at Colorado Springs Copier to learn more about getting a WorkCentre 6655 for your business.